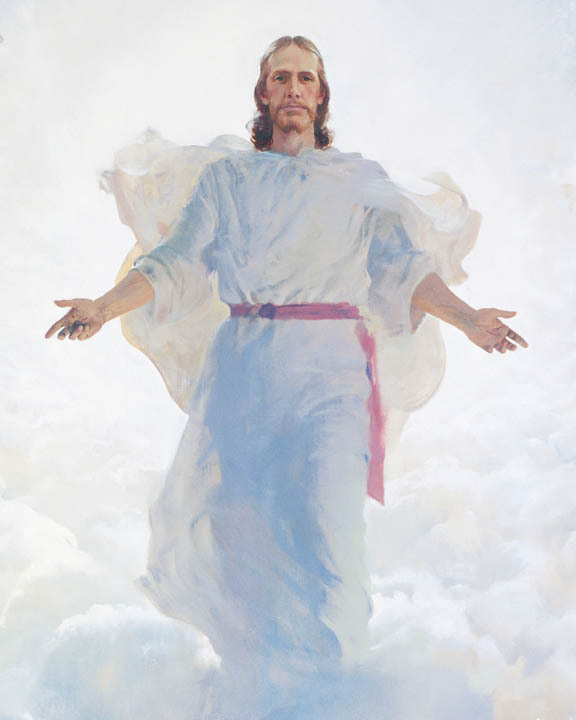 The proclamation of The Church of Jesus Christ of Latter-day Saints (sometimes nicknamed the Mormon Church) is that the heavens are open, that God speaks to His children and always has, and always will. Some accuse Mormons of adding to the Bible, citing the “curse” in the Book of Revelation. Mormons have not made any changes to the Bible, but the Bible itself refers to many prophets and scriptures we don’t have access to today, so we know that what is contained in the Bible is not all the Lord has caused to be written. And because that I have spoken one word ye need not suppose that I cannot speak another; for my workis not yet finished; neither shall it be until the end of man, neither from that time henceforth and forever. Wherefore, because that ye have a Bible ye need not suppose that it contains all my words; neither need ye suppose that I have not caused more to be written. For I command all men, both in the east and in the west, and in the north, and in the south, and in the islands of the sea, that they shall write the words which I speak unto them; for out of the books which shall be written I will judge the world, every man according to their works, according to that which is written. For behold, I shall speak unto the Jews and they shall write it; and I shall also speak unto the Nephites and they shall write it; and I shall also speak unto the other tribes of the house of Israel, which I have led away, and they shall write it; and I shall also speak unto all nations of the earth and they shall write it (vs 9-12). The words of God that have been canonized in the Church of Jesus Christ are those that have been recorded by prophets among Israelites on two continents. Those writings allude to others we do not yet have—the records of the Ten Lost Tribes, who will bring them when they return; the writings of John the Baptist; the writings of Joseph, who was sold into Egypt; the full account of the events on the Mount of Transfiguration, recorded by John the Beloved; the sealed portions of the Book of Mormon not yet entrusted to man. The religious history of the earth has been divided into what we call “dispensations” of time. Each dispensation has begun with a sort of beginning or restoration of lost or misunderstood gospel principles, or with the initiation of some important movement within God’s plan for us. Adam was the prophet of the first dispensation. Others have been led by Enoch, Noah, Abraham, Moses, Jesus and His apostles. After Jesus and the original apostles organized Christ’s gospel on the earth, there was a gradual falling away from the truth. There is only one gospel, and one truth. The falling away is evidenced by the difference in today’s Christian orthodoxy from Christ’s primitive church, and the plethora of churches that have sprung up in opposition to orthodoxy in an attempt to reform it. Reformation has not been enough to end confusion, but has only multiplied it. Instead, a new dispensation had to be ushered in, which would completely restore the doctrines, power, and authority of the original gospel of the Lord Jesus Christ. Adding to the importance, is the fact that the Second Coming of Christ is at the door, and the fullness of His gospel must be established to receive Him. If not, the world would be “utterly wasted at His coming” (Doctrine and Covenants 2:3). God’s house is a house of order, as found in the organization of the priesthood and its offices now on the earth. Resurrection is a free gift to all living things through the atonement of Jesus Christ. Salvation comes to nearly all people into a kingdom of heaven. Exaltation into the very presence of God can only be attained through righteousness and participation in higher covenants and ordinances. The idea of a pre-tribulation rapture is a false idea and non-biblical. The righteous will barely escape the destructions that will be unleashed upon the earth. (See Doctrine and Covenants 63:34). The vision of Joseph Smith and Sidney Rigdon — the kingdoms of heaven. The vision of Joseph F. Smith, the spirit world. The restoration of the gospel in preparation for the Second Coming. Do Mormons Blindly Follow Their Prophet? Why do Prophets Sometimes Disagree with Each Other? Would a Mormon Prophet Resign? Why is there more Revelation Today than in Ancient Times?